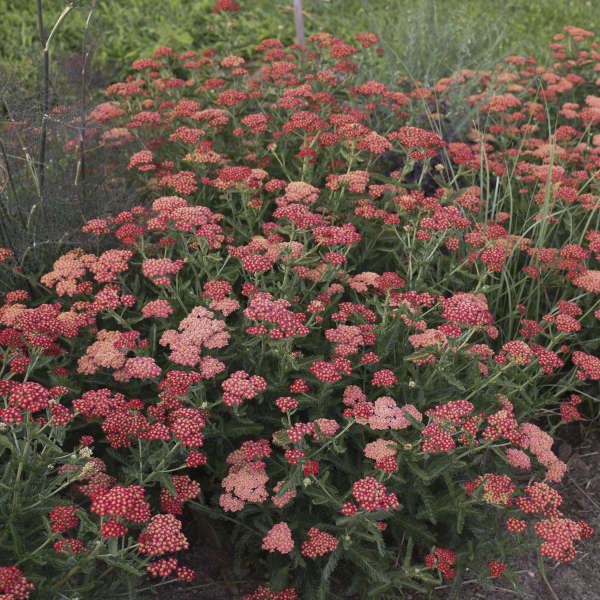 Achillea 'Sassy Summer Sangria' PPAF | Walters Gardens, Inc.
You'll love this new collection of Yarrow due to each member's taller, more substantial presence than other Achillea on the market. 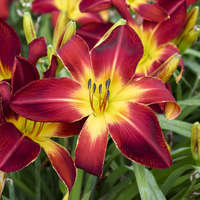 Although they have a taller height, all members have sturdy flower stems that will look great throughout the season of its bloom. With a range of beautiful colors, such as yellow, red, pink, and orange, you'll definitely find something that fits your needs. 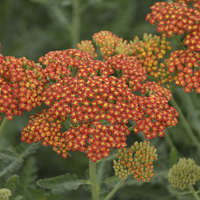 One of the tallest varieties of the collection. 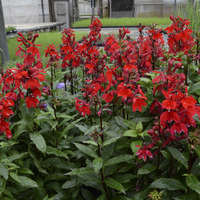 Dark red flowers with a white eye are produced on top of an upright, round habit of silvery green leaves. 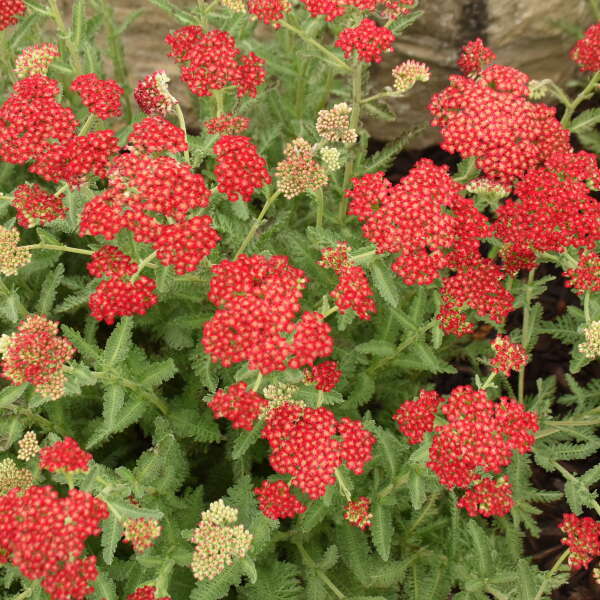 Yarrow is one of the easiest perennials to grow and is a good choice for beginners. All it needs is full sun and well-drained soil. 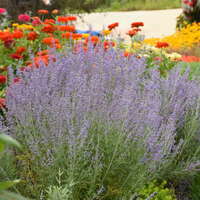 It thrives in average to poor soil and is drought tolerant once established. Plants grown in rich soil tend to be tall and floppy. 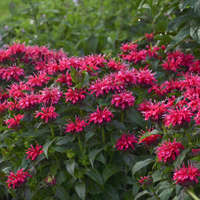 After the flowers have faded, cut the plant back by half. 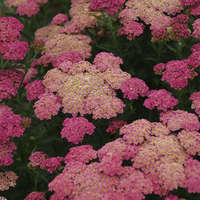 This will likely stimulate a second flush of blooms in late summer. 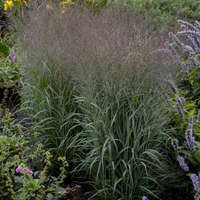 Most varieties do not come true from seed. 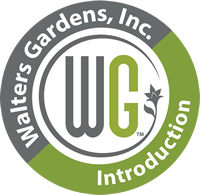 Feed with 50-75 ppm at every other watering. 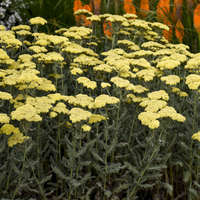 Do not over-fertilize; achillea are not heavy feeders. Beneficial at 10 weeks of temperatures below 40° F.
Root Trimming: Roots may be trimmed to fit pot. Some growers pinch back the original shoot after the roots have formed to encourage branching. Allow plants to dry thoroughly between waterings. 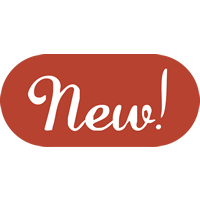 Apply multiple applications of B-Nine (daminozide) at 2,500 ppm or the tank mixture of B-Nine at 2000 ppm and Sumagic (uniconazole) at 3 ppm. 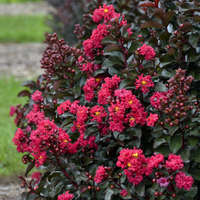 Bulk plants under short days to prevent early flowering. 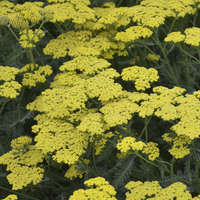 Achillea flower best under long days.